Chengdu, formerly transliterated Chengtu, is the capital of Sichuan province in Southwest China. It holds sub-provincial administrative status. The urban area houses 14,047,625 inhabitants: 7,123,697 within the municipality’s nine districts and 6,730,749 in the surrounding region. 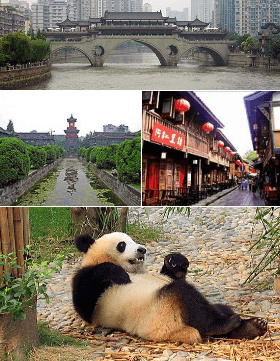 Chengdu is one of the most important economic, transportation, and communication centers in Western China.